The Baron brothers and Resistance Pro wrestling have been doing great things for the Chicago communities since RPro's debut. School fundraisers, the Positive OutReach Program (POP), special nights honoring various folks at their events and more are just a few of the ways they are giving back. Earlier this year, they were on the receiving end of something special. 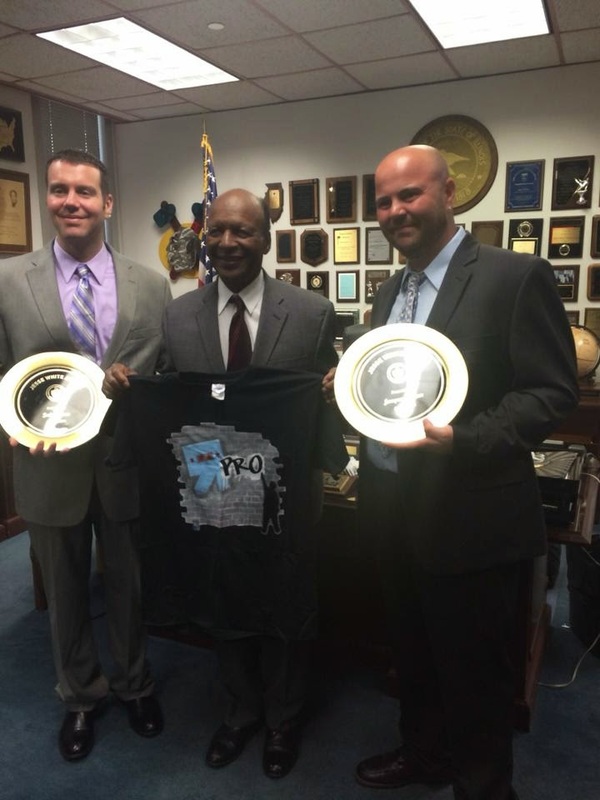 Jesse White, the 37th Secretary of State for Illinois, presented RPro with an award for all they have done. White is a well-known politician, although ironically perhaps not as famous as the Jesse White Tumblers. White has done great things with the youth of the area and he recognizes others for doing similar. Resistance Pro isn't just about wrestling. It isn't just a business here to take your buck, put on a show and leave. I have seen their many efforts and actually have been part of several of them. I see the effort and passion that everyone involved has. This is the real deal. It isn't about cameras and press. They do what they do for people, not for the praise. Jesse White recognized them with an award. While not as prestigious, I am shining the JohngysBeat/com light on them today. As 2014 comes to an end, I look forward to a great 2015 with RPro. Gabe Baron, Jesse White and Jacques Baron in Chicago, IL-June 2014.